When Urugayan documentary photographer Christian Rodriguez met Nigerian fashion designer Wale Oyéjidé in Arusha, Tanzania, during TEDGlobal 2017 late last month, conversation turned into collaboration at the speed of light. 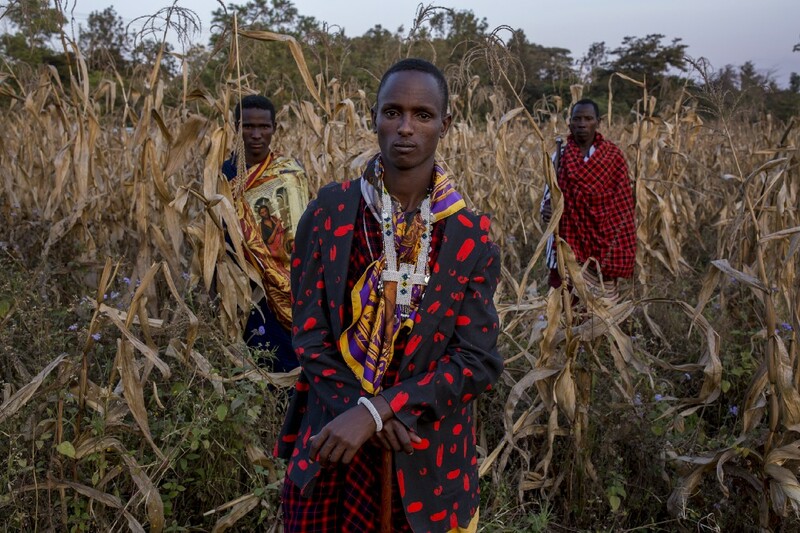 Before they knew it, they were hiking a dirt road with three Maasai men they’d asked to model Oyéjidé’s menswear from his label Ikiré Jones. With them, they took another TED Fellow, American cellist Joshua Roman, who would provide music for what would be an impromptu spoken-word performance by a Maasai, Papakinye Lemolo Ngaiyani. What started as a pragmatic exercise—doing a fashion shoot—became a brief and wholly unexpected collision of people and cultures, leading to a spontaneous moment of profound connection. Below, see the fruits of this extraordinary moment and how the crew behind it experienced it, each in their own words. When documentary photographer Christian Rodriguez isn’t on assignment with National Geographic, he’s at work on long-term projects exploring global issues of identity and gender, with a focus on the rise of teen motherhood in Latin America and its social effects. Soon after he arrived in Arusha, Tanzania, for the TEDGlobal conference, he and another TED Fellow, fashion designer Wale Oyéjidé, hit it off. Wale Oyéjidé’s designs meld African-inspired textiles with European tailoring and Renaissance-era art in his menswear line Ikeré Jones.